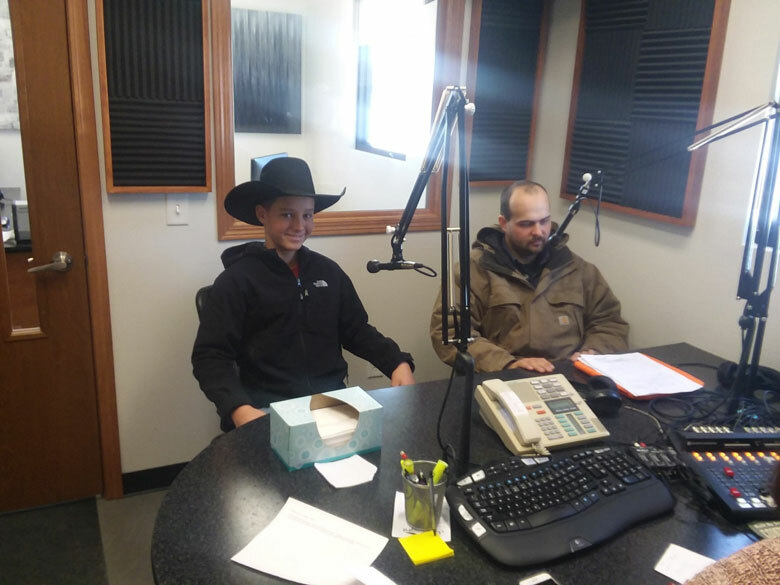 Matt and Joe headed to Creston on Wednesday to record some radio ads about our bulls for sale. This was Matt’s first time of doing such a thing, and from what I hear, he did a nice job. I think he even got it recorded on the first try. So now he’s thinking he might try to work out a deal with Grampy. He thinks for every person who mentions hearing him on the radio, he should get a dollar. Unfortunately, we’re going on four days in a row of no school due to the weather (can you say cabin fever?!?) and he hasn’t gotten a chance to visit with Grampy yet. I’m guessing by the end of the deal, though, Matt will end up owing Grampy money. At least, that’s how things always went when I was a kid. We kids would suggest getting paid for our work and Dad would say, “Sure! How much do you want?” We’d reply with some reasonable figure, and he’d readily agree. Then he would explain to us how much he was going to have to charge for room and board and clothing, etc. In the end, it was much better to work for free rather than owe thousands in exorbitant fees. Lol. But I think I’ll let Matt find that out the hard way. And who knows, maybe Matt will be a better negotiator! Your Dad learned that from his Dad.